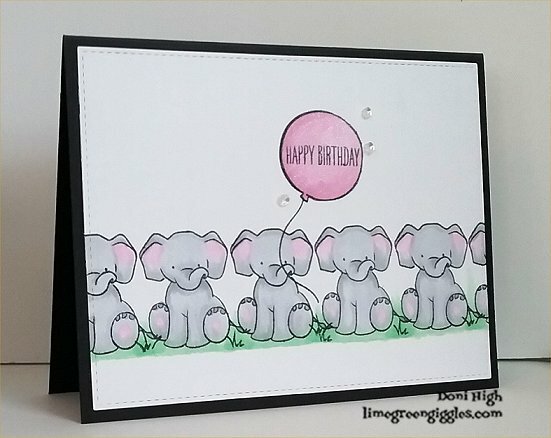 The card I made today has a whole row of elephants! The challenge at CAS on Sunday. is to use a repetition image. for the clean and simple challenge on Splitcoast Stampers. 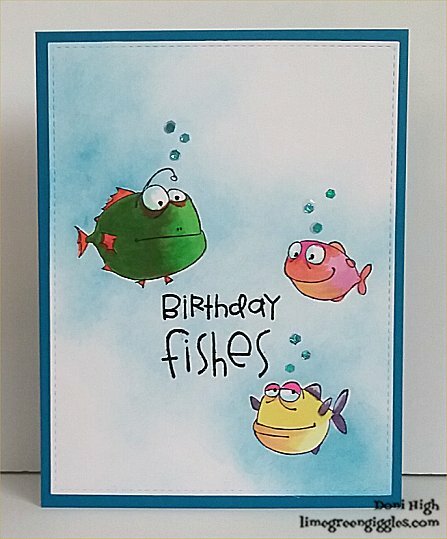 Their challenge was to use fish on your card. Wow love your card great coloring too. Thank you for joining us over at CAS on Sunday.